While every brokerage has its own unique personality and needs, marketing solutions in the past have tended to offer a somewhat cookie-cutter approach. Buildout was designed with the idea of changing that. With Buildout, users are able to set up their materials in a way that is tailored precisely to their needs. 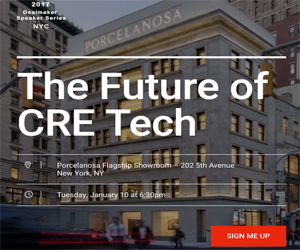 Designed specifically for marketing commercial real estate, this web app helps to streamline the entire listing process while utilizing incredible materials designed specifically for each team. Once information is placed in electronic format, there is never a need to enter it again. Buildout makes it possible for users to enter their listing information once. At that point, the information will update instantly everywhere, including on a brokerage's website, marketing materials, emails, and even third-party listing sites. This helps to save an incredible amount of time while avoiding repetitive tasks, and also helps to ensure that all of a brokerage's materials have a completely cohesive look and feel. Among the problems that many brokerages face when trying to adapt to a new tool is the steep learning curve. Buildout has taken this into consideration, and has taken the extra steps necessary to ensure that the software is as easy to use as possible. This was done by creating Buildout around the way that users actually work. Tools are provided for the entire listing process, and Buildout transmits information to where it needs to go. Users will find that Buildout features an incredible array of features, including doc vaults that allow users to control who has access to what information. Even better, Buildout intuitively manages and shares information from one easy-to-use interface. Email marketing is also made much easier with Buildout. Users can choose to create emails for a single listing, multiple properties, or even for the needs of tenants without the need to waste time re-entering information. Since location is of such importance in the world of real estate, Buildout also offers the ability to create incredibly complex maps. Users can locate properties instantly while providing comps and information about local retailers. All of this can be accomplished directly from the document editor. Buildout even offers integrated demographics, allowing users to publish information regarding the location of a property without using third-party data sources. Additionally, each listing is given its own website, making it possible to share listing information even if a property is not actually on the market yet. A seamless plugin also offers the opportunity to show listings on a brokerage's website, ensuring that the listing fits in with the rest of the website. It's even possible to update third-party listing sites with just a single click. Never again do users have to worry about changing the price of a property in numerous publications. It's syndication made easy. With Buildout, CRE brokerages can produce material instantly while keeping all of their information up-to-date from a single interface.